Flamenco piano – Dorantes Sin Muros! 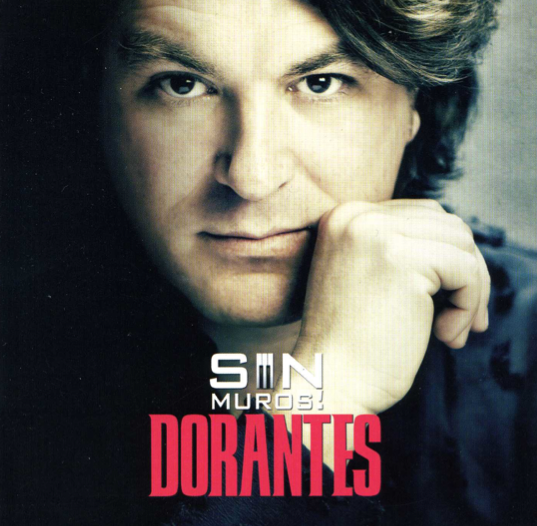 The flamenco pianist and composer, Dorantes has released a new recording called Sin Muros! on Universal Music Spain, which features an outstanding list of guest artists, including the singers: Enrique Morente, Esperanza Fernández, José Mercé, Carmen Linares, Estrella Morente, Miguel Poveda, Arcángel, Noa, and Pedro María Peña (guitar), Renaud Garcia-Fons (double bass), Marcelo Mercadante (bandoneón). The result is superb recording and it would be difficult to say which track moved me the most but Enrique Morente’s tientos Refugio was spin-chillingly good. David Peña ‘Dorantes’ is a flamenco pianist who leans more towards jazz than to flamenco, although the both styles are inextricably linked in his work. He was born in Lebrija, Seville and belongs to a fine flamenco family: his grandmother was the cantaora La Perrata, his father was the guitarist Pedro Peña Fernández (who performs the seguiriya Aliento on Sin Muros! ), his uncle is the cantaor Juan Peña Fernández, ‘El Lebrijano’, his great-aunts were Fernanda and Bernarda de Utrera. Dorantes started out as a guitarist, like his father, but was strongly attracted to the piano, which he first encountered in the house of his grandparents.